Quick and easy Eggnog French Toast Bake recipe that is festive and sweet and can be made ahead for a no-hassle, easy Christmas breakfast. Some of the most popular recipes on the blog this time of year are my make ahead breakfast recipes. I totally understand why. I mean, Christmas is crazy and hectic that no one wants to deal with prepping and cooking a good breakfast! 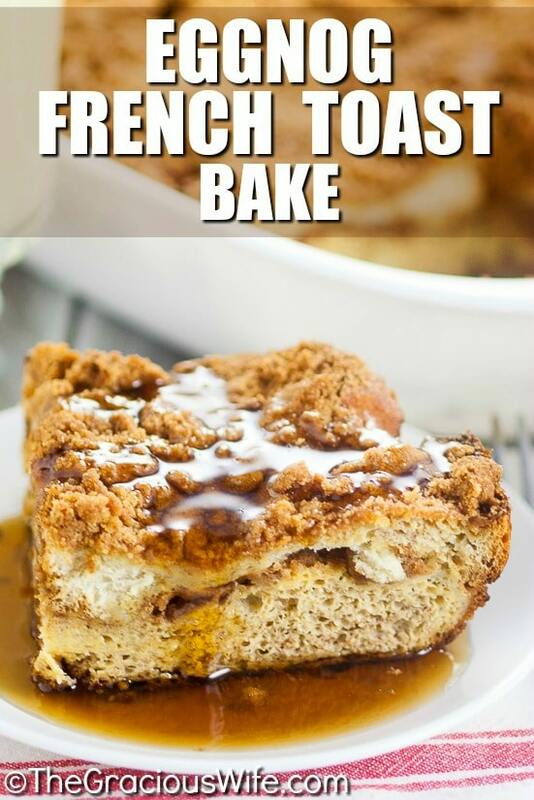 So I wanted to share this Eggnog French Toast Bake for a Christmas make ahead breakfast recipe that is super easy, can be made the night before, and you can just pop it in the oven while the kids open presents and eat when they’re done. Be sure to read the directions the night before so that you know to soak the bread in the dish and let it sit overnight! There’s nothing worse than going to make a recipe the day you need it and realizing you needed to make it the day before! 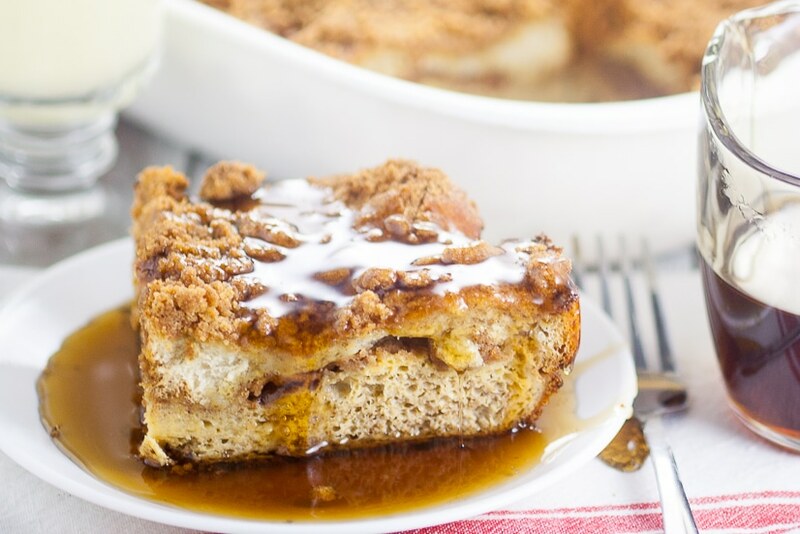 The best part of this Eggnog French Toast Bake? The crumble topping. It just adds the perfect amount of sugar and spice and everything nice. 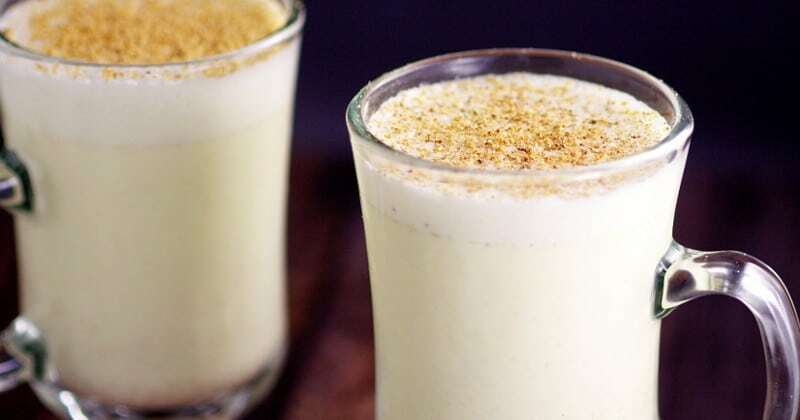 Serve warm with lots of maple syrup and a glass of eggnog! Merry Christmas! Tear bread into bite-sized pieces, and place half in a greased 9"x13" baking dish. Set aside the other half. For the topping: Right before you bake, whisk together the flour, brown sugar, cinnamon, and nutmeg for the topping in a medium mixing bowl. Add butter and cut in with a pastry blender or fork, until the clumps are pea-sized. Sprinkle half of the topping on casserole. Set aside the other half. Place the other half of the bread pieces on top of the topping in the baking dish. 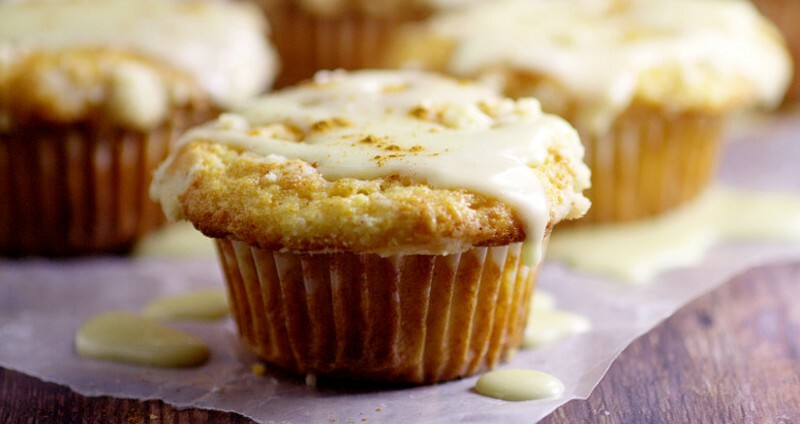 In a large mixing bowl, whisk together, eggs, eggnog, vanilla, cinnamon, nutmeg, and sugar. Cover with foil and press down gently so the bread will soak up all the egg mixture. Refrigerate overnight or minimally 3-4 hours. Before baking sprinkle the remaining topping on top of the casserole. Bake at 350 for about 45 minutes, or until cooked through. 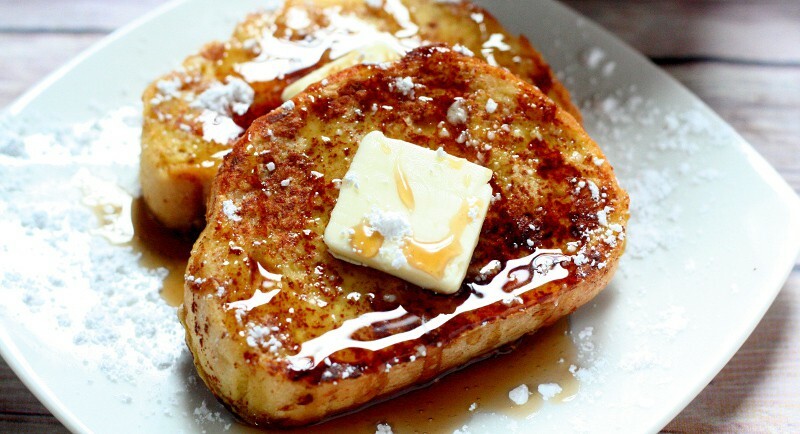 Serve warm with lots of maple syrup. 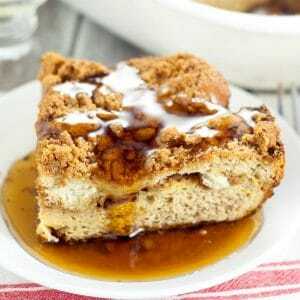 Did you like this Eggnog French Toast Bake recipe? 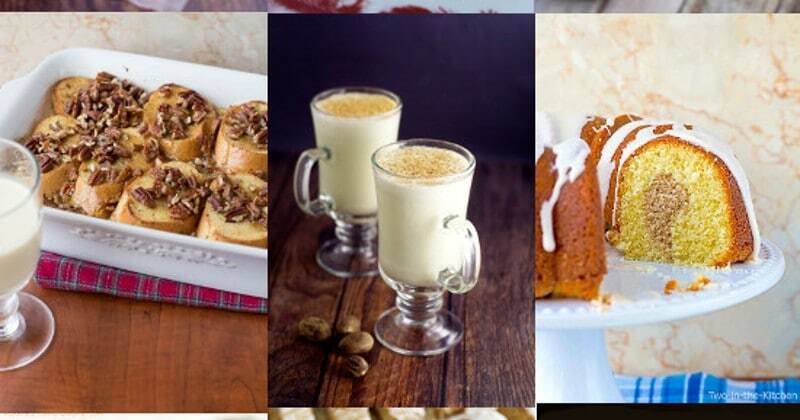 Find more on my Breakfast and Christmas boards on Pinterest!